The Sunday Salon: 2011 Favorites – my books. my life. This is the week I like to look back on the previous year. I’m kicking it off today with the one everyone anticipates the most: my top reads of 2011. I’ve broken them down by category this year. Later this week my husband will be making an appearance with his top ten and I will also share my favorite albums. Finally, I will round out the reminiscing with some reading statistics and goals for 2012. Enjoy. In no particular order, here are my favorite reads of 2011, with a one-sentence description why. You can click on each book to read my full review. 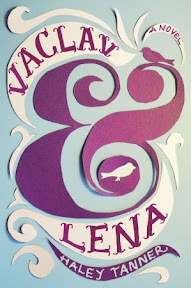 Vaclav and Lena by Haley Tanner is a heart-wrenching novel about two kids who lose and find each other. 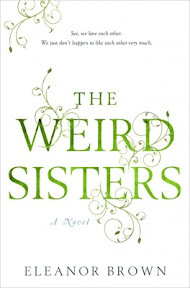 The Weird Sisters by Eleanor Brown is a beautifully-written novel about family and growing-up. 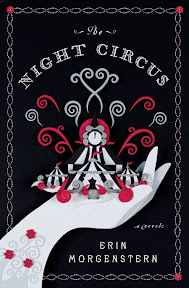 The Night Circus by Erin Morgenstern is simply magical. 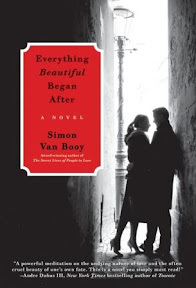 Everything Beautiful Began After by Simon Van Booy employs gorgeous writing on its jarring emotional journey. 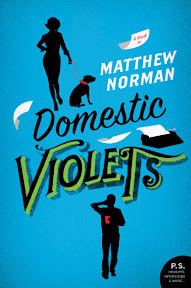 Domestic Violets by Matthew Norman is both a hilarious and poignant look at modern family. Bossypants by Tina Fey made me laugh out loud – constantly. The Langauge of Flowers by Vanessa Diffenbaugh is a beautifully-written and beautifully-narrated story of a newly emancipate foster kid trying to find her way in life with the only thing she knows: flowers. Ready Player One by Ernest Cline is my absolute favorite audiobook experience of the year, and I don’t think I’m alone. Faith by Jennifer Haigh follows a family through an unimaginable accusation, examining religion and relationships along the way. I discovered both Feed and Deadline by Mira Grant this year and found myself completely caught up in its zombie-infested, post-apocalyptic world. Shade and Shift by Jeri Smith-Ready is my absolute favorite discovery of 2011. Anna and the French Kiss by Stephanie Perkins is cute and romantic and quirky – sometimes that’s all we need. Divergent by Veronica Roth kept me on the edge of my seat and has me eagerly anticipating its sequel this spring. Saving June by Hannah Harrington took me on a musical roadtrip across the country that left me emotionally exhausted. The Fox Inheritance by Mary E. Pearson surprised me enough to make it here. Our Town by Oscar Wilde is a heartbreaking play made even better because I read it with my husband. Extremely Loud and Incredibly Close by Jonathan Safran Foer is an often-sad-but-ultimately-uplifting novel about a boy who loses his father on 9/11. A Visit from the Goon Squad by Jennifer Egan was ambitious and unique. 13 Little Blue Envelopes by Maureen Johnson somehow sucked me into a European adventure while I was already on one. Wicked Lovely by Melissa Marr showed me that faeries are not for little kids. Your turn. What were your favorites this year? Fabulous list! I loved Feed and am thrilled to see Deadline is just as good. Happy New Year! The Weird Sisters was definitely one of my favorites, as well, and getting to know the author on Twitter has only made me enjoy it more post-read 🙂 This wasn’t a great reading year for me, but a few titles of note: Jerry Spinelli’s Milkweed, Minding Ben by Victoria Brown, Blankets by Craig Thompson, and Trina Paulus’s Hope for the Flowers. Blankets made my list last year. Such an amazing book. I love your lists — and good idea to break it into categories. Wicked Lovely was an awesome audiobook (in case you ever think of reread). I read 3 of your 5 best, and I loved them. The Night Circus would definitely be on my list, but for now, I’m resisting writing one. I’m also a big fan of two of your audio picks, but I read them in print. Now I’m really wanting to go back and do an audio re-read. I’ve heard a couple chapters of Ready Player One, so I know it will be great. I’m working on a list of 5 YA/MG books that I really liked. Since I didn’t read any of your list, it is going to look very different. Great list of favorites, I hope 2012 is just as successful. I also really enjoyed Ready Player One, Bossypanats, and Anna and the French Kiss. I have The Weird Sisters on my list as well, was such a lovely book. Here’s to more great books in 2012! I’ve read quite a few of these and several of them made my lists too! You had an awesome year. I’ve really enjoyed reading your blog this year. Ready Player One, Deadline and The Night Circus also made my list, and there are a few here, particularly Domestic Violets that I want to read or listen to. Hopefully your 2012 is even better. I’ve got an audiobook of The Fox Inheritance waiting on me. I loved The Adoration of Jenna Fox, so I’m hoping I’ll like the next one as well. I’ve never heard of The Weird Sisters, but I love that title. Excellent list! So glad you loved READY PLAYER ONE. It made my absolute favorite of the year as well. I’m now curious what will be on Ben’s list.